*sc in next, ch5 skip 3 stitches *repeat all the way around adding 7 chs instead of 5ch at the corners on the beginning square only. One of my greatest passions in life is to crochet and find new patterns. 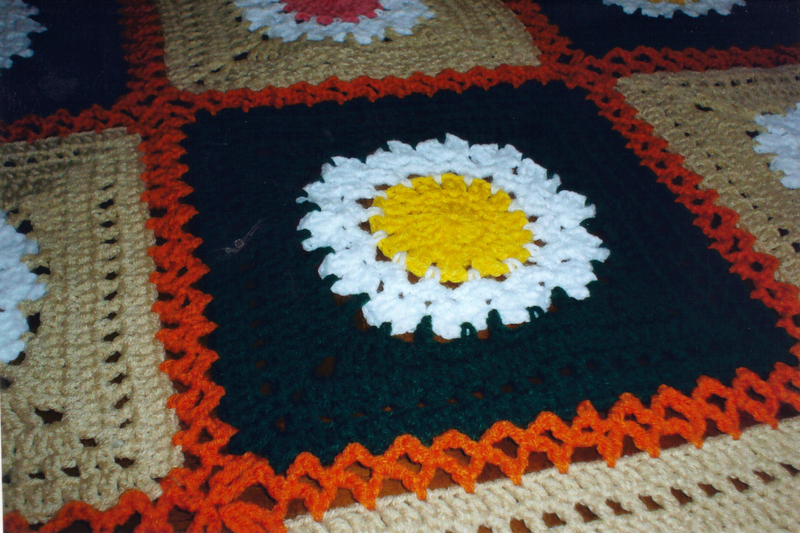 I have been crocheting since my Mom and Grandmother taught me at the age of 8. To this day it amazes me how one strand of thread can create something so unique. This entry was posted in Crafts & things. Bookmark the permalink. I found your blog through crochet partners. I can’t really comment on your method of joining squares other than to say it looks beautiful. The blanket in your example is gorgeous. Glad I found your blog.